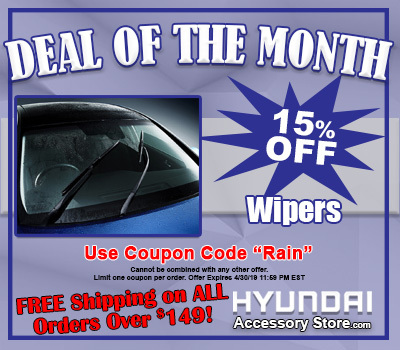 Hyundai Accessory Store offers a variety of accessories to personalize your Hyundai vehicle. From Tow Hitches and spoilers to side steps and wind deflectors, Hyundai Accessory Store has just what you are looking for to dress up your Hyundai vehicle in style and with quality. Whether you are looking to simplify your life, protect your vehicle, or impress your friends, there is an ideal accessory waiting to be installed on your vehicle. Contact Hyundai Accessory Store and ask which Hyundai Genuine Accessories are available for your specific model and year. 1-800-852-4216. Better yet, click on the models listed above and see for yourself!